From the start, Handtrucks2go has been dedicated in bringing you a wide range of quality material handling equipment in hopes that you are able to accomplish numerous tasks as efficient and convenient as possible. We have been searching far and wide for various brands that can satisfy and meet your needs and expectations. That is why we bring you EKKO-Lifts new innovative and ergonomic products that we believe will surely meet and even exceed your standards. We have always prioritized our customers above all things and EKKO shares this sentiment with us guaranteeing you quality in products and service. The price point on these products can easily save you anywhere from 25-50% !! 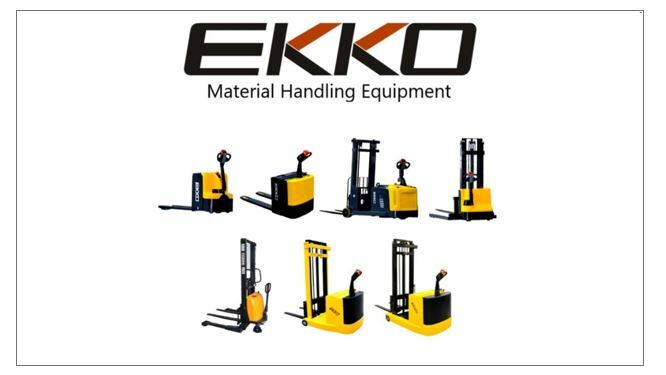 We at Handtrucks2go together with EKKO-Lifts offer you a new line of products all at competitive prices which are, but not limited to, scissor lift tables, electric pallet jacks, manual pallet jacks, and their ever popular stackers. EKKO-Lifts have been best known for their Stackers which are incorporated with their advance engineering and superior quality. These are designed with the combination of the versatility of forklift, reach truck and a walkie stacker all in one product making them superior over standard stackers. 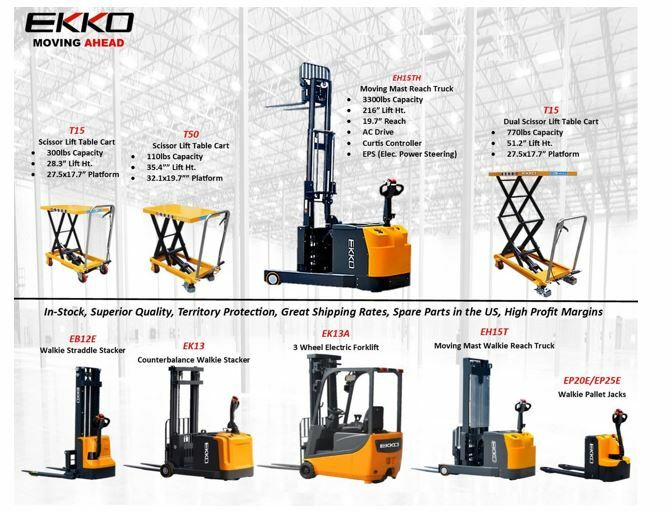 When it comes to material handling, EKKO-Lift’s products will definitely not fail you. This manufacturer has been in the business around 2008 and have been flourishing ever since. With their strict research and development, quality control, and quality assurance departments, every product has and will continue to pass CE certification with international safety standards and ISO 9001 Certification. With so many products to choose from, don’t hesitate to contact Handtrucks2go as we are always willing to help customers in need. Here at Handtrucks2go, we are always providing you with more and more options and solutions for your material handling endeavors.